There’s nothing more embarrassing than running out of ice, when you are playing bartender at your own party. No matter how many bags of ice you stowed away in the freezer in preparation for the party, you can’t judge how hot it will be on the day of your party or how much you’d use exactly. Freezers are notoriously slow when you need ice quickly. That’s where a portable ice maker comes in handy. Picking up ice bags at the convenience store down the road is not an option if you are finicky about the quality of the water that is used to make the ice. Portable ice makers can make ice in less than ten minutes with the clean filtered water or tap water that you use to fill the trays. Portable or table top ice makers are a boon to those who love entertaining, camping or barbecues. 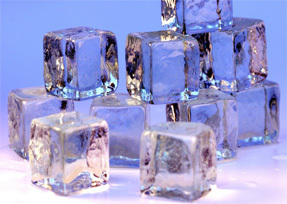 Most portable ice makers can make from 25 to 35 pounds of ice per day, with 10-12 cubes in every cycle of about 10 minutes. Several models make ice cubes in three different sizes that you can choose from. Another advantage of these ice makers is that your ice box can be filled with plenty of ice easily to keep your drinks and food cool when you go on a picnic or camping. Since all that is needed is a standard power outlet, you can take the icemaker with you wherever you go and plug it in even at the campsite. These table top icemakers come in a variety of sleek models in various colors, so that they can easily fit on the bar or the kitchen counter. Table top icemakers do not need to be connected to a water tap and you can just pour in the required amount of water. Some models even have indicator lights to let you know when you need to add more water. Models with timers make it convenient to get the ice maker going, even if you are busy elsewhere. Portable ice makers are more energy efficient than fridges and freezers. Not only are they a convenient alternative to frequent trips to the convenience store for ice bags, but they also ensure that you get good quality ice when you need it.